The nice about Halloween being on Saturday this year. Two days of celebrating! Sadly I didn't win the costume contest last night. The three finalists were people dressed as Jack Skellington and Sally from The Nightmare Before Christmas and a girl as Snow White. Can't compete with these, I guess. Let's see what happens tonight. It seemed like any other Saturday when I woke up today. I had to do laundry today and will finish tomorrow. Then I had to get some stuff at the store. I only saw a few people dressed as I went into the stores. Waiting to see what lies ahead tonight. And no, I don't mean the movie. This year I avoided the store-bought costumes and looked for items at Goodwill and other thrift stores in my town, as well as Dollar Tree to assemble something for this year. When the month began, I had several ideas in mind, including a mermaid, a prisoner (in orange) or a gold digger. One night as I went to bed, I still hadn't made a decision, but kept seeing images of gold digger costumes I'd seen over the years on the web, and then decided this was what I was going to do. I'd though of doing it for years now and now is the time. Also, there was no Spirit store in my town this year and this was not available at Kmart (did not expect to find it there), and I didn't feel like buying from Amazon or any other sites, I knew hitting the thrift stores was in order. Since this was cheaper, I knew it was the better way to go. Along with Goodwill, my town has several local thrift stores run by volunteers from organizations (including one run by the county hospital) and open on certain days of the week. I visit them quite regularly. I got a toy firefighters' helmet and gold chains with dollar signs from the Dollar Tree. Trying to find a shovel was hard as the toy ones are hard to find now that summer is over. So I settled for a garden shovel, found at one of the other thrift stores. I spray-painted the hat and shovel gold, and glued the lens from a broken flashlight onto the hat. And from Goodwill I got a golden-threaded sweater, a gold belt, golden-strapped shoes, and blue pajama bottoms, which I spray-painted gold as well. More info, and photos to come. My first challenge I've signed up for for 2016. I love retellings challenges and have to do this one. Sign up here. You must share your thoughts/reviews on the retellings you read for the book to count. You can post anywhere: your blog, Goodreads, Amazon, YouTube, Tumblr, etc. Join whenever, but before 31st December 2016, obviously. You can read any retellings you want, they do not need to be recent releases to count. There won't be any giveaways, this challenge is just for fun! Use the hashtag #RetellingsRC2016 so we can follow your participation in the challenge! I will also accept prequels/sequels - I.E. Dorothy Must Die by Danielle Paige is a sequel series to The Wizard of Oz, and would count. Feel free to re-read any retellings! They will also count, as long as you review them somewhere. All age categories are accepted; middle grade/young fiction, YA, NA, adult. All books count; physical books, audiobooks, eBooks. ARCs/Proofs count, as do self-published books. If you wish, in that post/page/video you can compile a list of retellings that you hope to read and review for the challenge - but this isn't compulsory. Also, the titles you list do not have to be set in stone. If you'd like some inspiration,Goodreads has a number of lists on retellings you can browse. Fill out the Mr.Linky form below. If you have a blog/channel, please make sure the link you add goes directly to your sign up post and has your blog/channel name as the title. If you're participating via Goodreads or Amazon, etc, as the title please put your "screename @ platform" - I.E. If I was participating via Goodreads, I would put "Jo @ Goodreads". As you review the books, update the monthly link up pages with a link to your review. At the very top of this post you will see the very amateurish graphic I have created for the challenge. Feel free to use it in your sidebar or sign up post/page/video if you want, but you don't have to! After years of participating in other blogs's reading challenges, I decided to try hosting one myself for next year. I'd though of doing one for some time, but never had any ideas for one until recently. 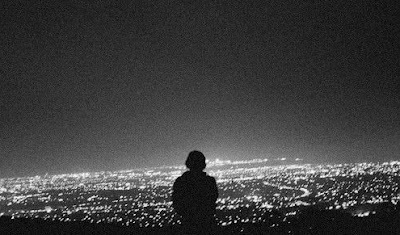 Why Do We Love Literary Lone Wolves? You are by no means limited to reading what is suggested in the links. Any books you find that fit the challenge description may be read. Challenge will run from January 1 to December 31, 2016. Books must be started on or after January 1 to count. Re-reads will be allowed as long as they are read during the specified time period. Fiction (all genres and subgenres), nonfiction, poetry collections and plays that fit the challenge description may be read. I will not be creating levels. I will leave it up to you to decide how many books to read. Sign up below with a direct link to your signup post, and please feel free to leave a comment after linking. Have fun, and I look forward to seeing what you choose to read. As I stated in an earlier post this year, I'm planning to host a reading for the first challenge for the first time in 2016. I've been working on the post (it's in draft mode), and am trying to decide what link service to use for linkups. I need to know what is the cheapest one. I've been considered doing a challenge for some time now, since I began participating in challenges in 2013. I'm still keeping my theme under wraps as I expect to have the post up sometime in November. It won't be long now. And right now I'm trying to wrap up some of the challenges I signed up for this year and am already pondering how many to do next year. Of course, that all depends on which ones are offered next year and whatever new ones come up that seem interesting. I've already decided to skip doing a library challenge. I'm always checking books out from my library so a library challenge for me is basically redundant. I may also skip any TBR challenges, despite how many books I have at home that I need to read. It seems easy to neglect them, even when doing the TBR challenge. And I may not do any series finishing challenges this time, even though I've completed several this year already. I'm mainly trying to stick to thematic ones such as mysteries, romance, fantasy, animals, colors, etc. And the one I have planned will encompass a lot of different genres. Stay tuned. Hosted by Megan at Semi-Charmed Life. Since I was an early finisher of the Summer Reading Challenge, and got to submit a category for the Winter Challange, I just have to get in on the Winter Challenge. It starts on November 1 and runs till the end of January so I've got some time. Sign up here. 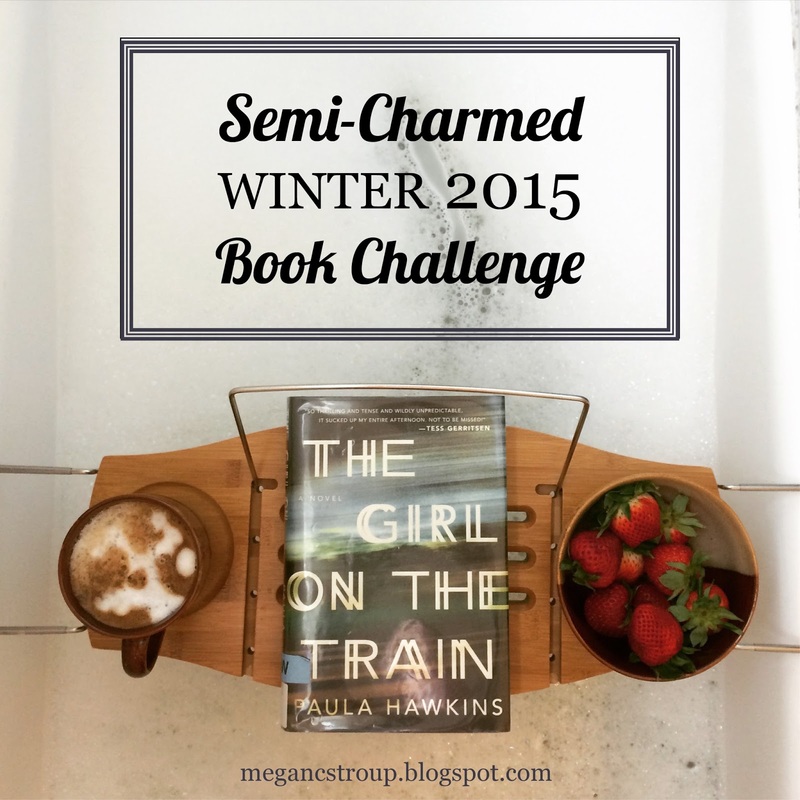 It's time for the next installment of the Semi-Charmed Book Challenge series! Whether you are a newcomer to the challenge or a repeat reader, I am excited to have you here today. Continue reading after the jump for the winter challenge rules and categories. The challenge will run from November 1, 2015, to January 31, 2016. No books that are started before 12 a.m. on November 1 or finished after 11:59 p.m. on January 31 will count. Each book must be at least 200 pages long, unless otherwise noted. Audiobooks and large-print books are fine, as long as the regular print version meets the length requirement. A book can only be used for one category, and each category can only be completed once. If you want to switch the category of a book during a later check-in, that's fine, just be sure to account for that in your point total. I saw these at Rite Aid one day when I went looking for the yearly Halloween peeps. The pumpkins and ghosts were there as always, but the black cats were nowhere to be seen. In fact, I have not seen the black cat peeps for several years now. I don't know if they are still being made. But I never saw the tombstones till this year and today I decided to try them. Didn't taste too much different from all the other kinds of peeps. As much as I love the holiday, I opted not to participate in the Countdown to Halloween this year. It was mainly because of last year when I was working long hours, causing me to miss some days on the countdown last year. I suspected more of the same would happen this year. For one week I worked 18 hours overtime and was exhausted beyond description. A week later, I only worked three days, still staying till 2AM. But now I've off for almost a week now and have had plenty time to blog. But another reason was that in the past when I participated in the countdown, my posts got repetitive and sometimes I had little to say on some days. And last year I was afraid of not getting the day off, but I ddi as I'd asked (and I've already requested it off for this year). But it was raining on Halloween last year. Not too bad, we needed some rain since we've been in a drought. But that night at the local bar, the celebration was cut short when the power went out after 10PM. All the patrons were freaked. I'm pretty sure I'll get it off this year, and that this year may just be better. On another note, my orange lights I've hung in my kitchen window the last few years have burned out so my window won't be decorated as it always has been. Going to miss seeing this in my window. But although I won't be participating in the countdown, I do plan to blog about some of my plans for the holiday. I've just decided on a costume and began looking for parts today at thrift stores. Only found a few so far, and will keep looking. In addition to Goodwill, my town has several other second-hand stores that are only open on certain days of the week. I'm hoping I don't have to go out of town for this, but will do so if necessary. Will tell you what I'm going to be later.